Our Rocky Point dentists provide affordable, comprehensive dental care in this getaway vacation destination less than an hour’s drive away from the US-Mexico Border with Arizona. Puerto Penasco, to give it its official name, is a small fishing village on the shores of Mexico’s Sea of Cortes, which has bloomed into a modern seaside resort. Easy to reach for residents from Arizona, it is often referred to as ‘Arizona’s Beach’ with its white sands and turquoise waters proving an irresistible draw for a holiday retreat without the travel hassle. 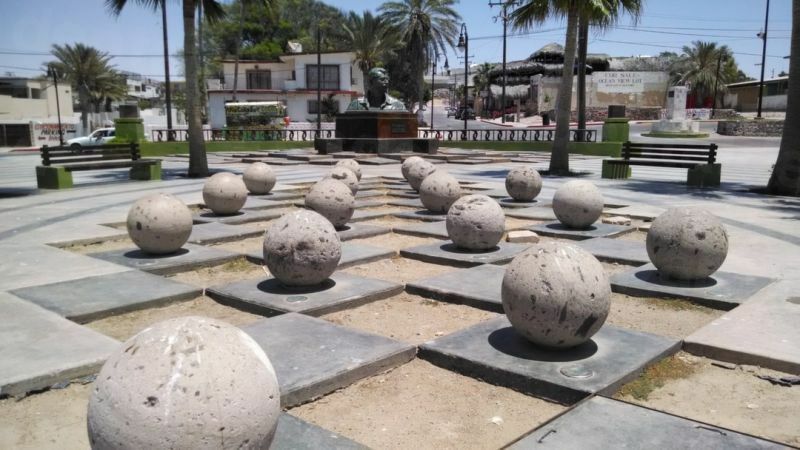 Rocky Point may be recognized as one of the youngest cities in the state of Sonora but its facilities have sprung up to meet the needs of tourists and vacationers who have been coming to the area since the 1920’s. There is even one legend that says the American gangster, Al Capone, sought refuge here during that time. Today, the ocean and beaches still continue to attract visitors, as well as the other activities and charms that Rocky Point offers to vacationers. Luxury developments offer their own individual appeal, whether that’s family-oriented, golfing or pampering – so you are sure to find what you are looking for. Thanks to a dry and hot climate - the average year-round temperature is around 28 °C (84 °F) – Rocky Point can be visited at any time of year. Start planning your dental trip with us – give your mouth a makeover and allow yourself the luxury of a well-earned break by the sea. 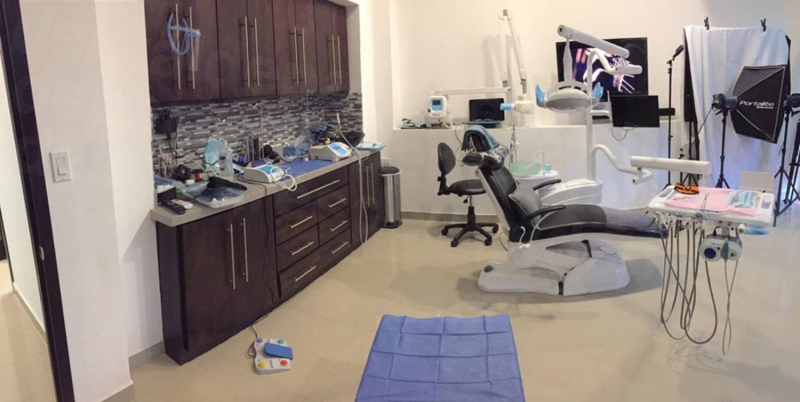 With savings of around 70% on the prices back home, you’ll be able to have the best of both worlds when you visit a dental clinic in Rocky Point. Rocky Point is located in Sonora, in the northwest of Mexico. It is only around 100 km (60miles) from the border with Arizona, part of the Altar Desert, which joins the Baja California Peninsula to the rest of Mexico. Why Visit a Dentist in Rocky Point? Rocky Point is a contemporary city with modern facilities. The city has grown up to accommodate tourists, having an infrastructure that provides visitors with the amenities and conveniences that they require. Dental and medical facilities are no different – they are needed by tourists as well as expats making their homes here in one of the new condos that people are snapping up as residences or holiday homes. This is a year-round destination and our dentists offer year-round, comprehensive dental services to both local and international patients in facilities that are up-to-date – and in some cases light years ahead – of your local dentist’s back home. The majority of American and Canadian dental patients come to Mexico because the prices are so much more affordable than at home. Initially, it may because they have to have a procedure, such as a root canal, or a crown, and find that the cost runs into thousands of dollars. For some US residents, particularly those from the Southern states, coming to Rocky Point for their dental care is a conceivable notion – saving around 70% on the costs at home – and having the opportunity to enjoy a break or vacation at the seaside without having to fly there. • Average cost of dental implant and crown in the US $3,900; in Rocky Point $1,524. Rocky Point is blessed with thousands of hotel rooms and other different accommodation options – from standard to 5-star luxury. You will discover an array of resort hotels overlooking the ocean and others that cater to specific interests, such as golf. It is always popular in the summer and accommodation is usually booked some time in advance, but if you can go a little out of season in spring or autumn (which may be preferable as the weather is not likely to be too hot) you are likely to have a better choice as well as some bargain prices. Generally, yes. 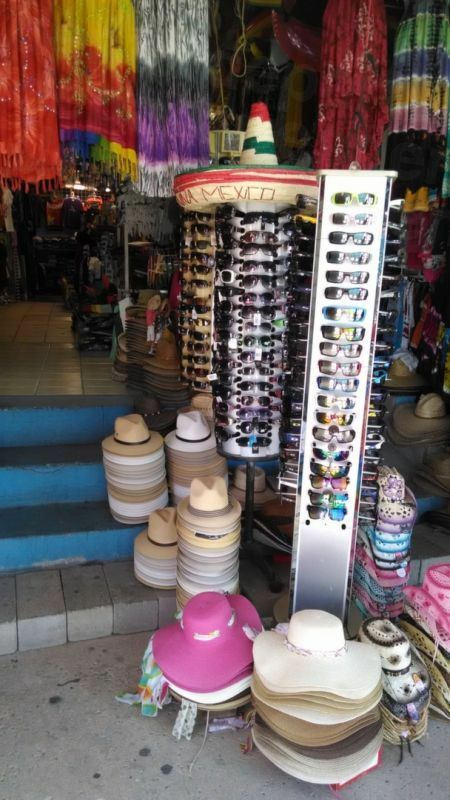 Millions of US citizens visit Mexico every year with no problems. There are a few caveats to be aware of. If you are driving please time your trip so that you are not driving on the highways at night – which is the standard advice throughout the whole of Mexico. Also, stay away from drugs as getting mixed up with the wrong crowd could put you in danger. With so many people not receiving the dental care they need at home because of the high prices, dental tourism to Mexico is becoming a reasonable alternative. Dentists in Mexico may have had a bad press in the past but these days the best dentists in Mexico provide a service comparable to any provided by Western dentists. We’re not saying that all dentists in Mexico are great – but that can be said of any dentists in any other country in the world. What we can say is that dentists we work with, like Dental Esthetic Design, are up to the standard that we expect. In destinations such as Rocky Point, which are popular with tourists from north of the Border, dentists do have to provide good services, or people simply won’t come, or provide referrals. So, in our experience, good dentists who are providing services for international patients make sure that not only their qualifications and expertise are beyond reproach, but also that their facilities, customer care and membership of established professional organizations are recognizable to their patients. All these are indicators of quality, along with patient reviews, which we are keen to promote so that as a visitor to our site you can get a picture of a particular dental clinic, and make an informed decision. It is an uncommon event for things to go wrong, but all our dentists provide guarantees and warranties on the materials they use and the work they do. If you do experience any problems whatsoever, get in touch with us and we will endeavor to get it resolved as quickly as possible. For your complete peace of mind, if you are concerned about incurring further travel or accommodation expenses if this eventuality arises, we have partnered reliable insurance companies who provide low-cost policies for exactly these circumstances. No. 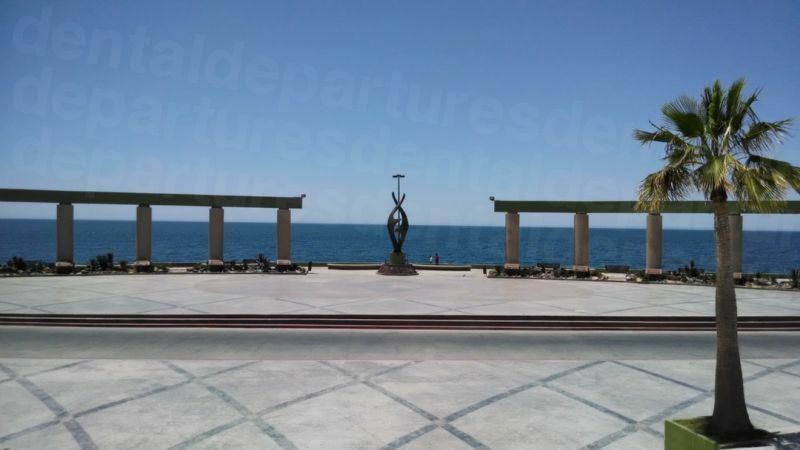 You can get by with the minimum of Spanish, as Rocky Point caters to thousands of English-speaking tourists. It’s not known as Arizona’s Beach for nothing! Our dental offices in Rocky Point all accept US dollars. You can check out the other payment methods accepted by looking at each individual clinic’s details on our website. Payment methods generally accepted are personal checks, bank transfer, debit cards and credit cards. Please be aware that credit cards may be subject to a small processing fee of between 3 and 4%). It is unlikely that your dentist in Rocky Point will be able to bill your insurance provider directly, but if your provider allows ‘out-of-network’ care you will be able to claim your treatment costs when you get back home. Check with your insurance provider before you book and remember to obtain any appropriate forms or documentation to give to your Rocky Point dentist from them before you travel. Rocky Point is a year-round destination, but in the summer temperatures are very high so you may prefer to go in the spring or autumn when it is still warm but perhaps not unbearably hot. These are also some of the quietest times of the year for tourism so you may well discover some bargains on accommodation costs. Is Rocky Point Wheelchair Accessible? Wheelchair access is variable, with some places around town more accessible than others. Many of the modern hotels and resorts are wheelchair friendly, but getting around may be challenging with some parts more accessible than others. Most of our listed clinics are wheelchair accessible, with many providing transport to and from your appointments. Just let us know what your requirements are as we can always help you find a way of seeing one of our great dentists. Local anesthetic is the preferred method of pain relief throughout Mexico, so if you are counting on sedation dentistry be forewarned that it is not freely available as it is at home. That said, most of our dentists will arrange it, but it will need to be requested in advance as the services of an anesthesiologist are required. This will, of course, incur additional fees of between $400 - $600. Anxiety medication, such as Valium, must also be requested in advance. What Else is There in Rocky Point? Rocky Point offers dental patients the chance to relax and unwind after their dental care with an array of different options. You will find a number of different beaches at Rocky Point, each with resort-style hotels that are very popular with most guests, and whose amenities cater to different tastes. On Sandy Beach is Las Palmas, which has an exclusive pool slide for family fun. If you are a golf fanatic, you may prefer to stay at the Las Palomas which has the only golf course located on Sandy Beach and is exclusive to guests of the resort only. Most people come to Rocky Point for its beautiful beaches, and if this is the case you will have a wonderful time exploring the beaches in the area. There are plenty of activities to indulge in, such as kayaking, sailing, snorkeling, kite-surfing, jet-skiing and banana boating with several of the larger hotels offering these activities free-of-charge. The waters in the Sea of Cortes have been described as the ‘Aquarium of the World’ by the French explorer Jacques Cousteau, and if you are a certified diver there are companies in the area that offer scuba diving excursions. Land-based excursions are plentiful if you prefer not to get your feet wet. These range from adrenaline-fuelled four-wheeled drives over the huge expanses of sand dunes in the area, to eco-tourism activities where you can see the flora and fauna of this beautiful part of the world, perhaps at a much slower pace. Trips include the Island of San Jorge to see colonies of sea lions, dolphins and other animals and birds native to the area. Discovering the Pools takes you to the northern part of the Gulf of California to explore rocks and reefs and the Sacred Mountain tour offers information on how the area is managed as well as options including mountain biking and hiking. Rocky Point provides a wide variety of pastimes for people of all interests and ages. From family vacations to holidays with friends to a romantic trip with your partner – there is something for everyone here. An airport at Puerto Penasco offers flights to Las Vegas and Hermosillo. Otherwise, you will find a number of international airports nearby in Mexicali, Mexico and in Arizona in the United States at Phoenix, Tucson and Yuma. Most people in the region choose to drive, taking the I-10 or I-8 south in the US to the SR-85 or SR-86 down to the Border crossing at Lukeville-Sonoyta and then it’s just over an hour’s drive southwest to Puerto Penasco. Book your appointment online or call us toll-free. With Dental Departures you get quality-checked dentists in Puerto Penasco and the best prices. Hernadez, Maria. Rocky Point (Puerto Penasco) History. http://www.puerto-penasco.com/history.html Puerto Penasco. Reinberg, Steven. Can’t Afford the Dentist? You’re not Alone. https://www.cbsnews.com/news/cant-afford-the-dentist-youre-not-alone/ CBS News. 7 September 2017. Trevino, Julissa. Medical Tourism is Booming in Mexico. https://psmag.com/economics/medical-tourism-is-booming-in-mexico Pacific Standard. 9 January 2018. Kompanik, Noreen. Desert Meets the Sea in Mexico’s Puerto Penasco. https://www.travelpulse.com/news/destinations/desert-meets-the-sea-in-mexico-s-puerto-pe-asco.html Travel Pulse. 8 October 2018. Harris, Amy. Tourism in Puerto Penasco. https://traveltips.usatoday.com/tourism-puerto-penasco-mexico-36427.html USA Today. Website Accessed 23 November 2018.